The Farmhouse Il Maestrale is only a few minutes away from the spectacular Sea of Rocchette, jewel of Castiglione della Pescaia. Discover the Surroundings of Castiglione della Pescaia and Farmhouse Il Maestrale. Castiglione della Pescaia is an ancient village by the sea, between Punta Ala and Marina di Grosseto. The old part is a balcony on the Tyrrhenian sea. Its marina offers daily cruises to the islands of the Tuscan Archipelago. 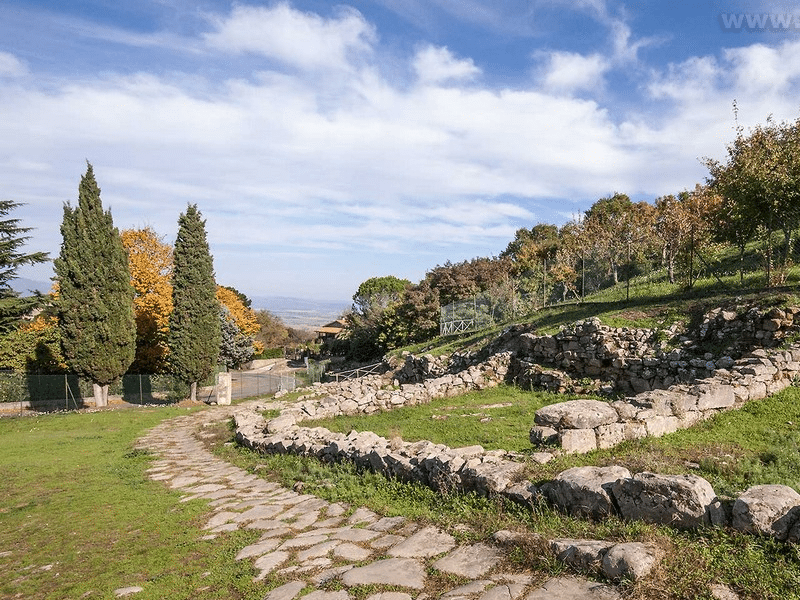 Castiglione della Pescaia can boast very ancient origins: the first traces of population in the area date back to about 60.000 years ago, while the first urban settlement can be located in Vetulonia, the ancient town that the Etruscans founded near Lake Prile (now disappeared). The Romans founded the village of Salebrone, famous for its mild climate, its lake full of fish and the surroundings rich in game. After the fall of the Roman Empire and the Barbaric Invasions, Castiglione was given up to Pisa in 962 by Otto I of Saxony, Emperor of Germany. Pisa exploited its riches and neglected the sanding up of the harbour and the waters of Lake Prile that, becoming stagnant, were the cause of malaria pandemics. 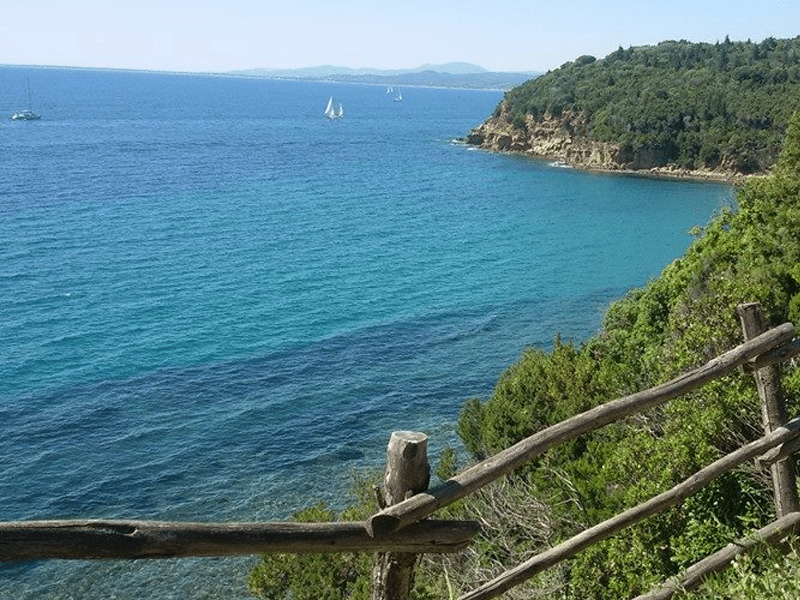 Cala Violina is a wonderful cove in Maremma, in the district of Scarlino, that opens in the heart of the Natural Reserve of Bandite di Scarlino. The cove, not very wide, lies between two promontories and is characterized by an extremely fine sand and by pristine and crystal clear sea waters. What makes it really unique are the sounds that the beach utters when it is trodden on and when everything around is silent; this effect can be heard during the low season, since the cove gets really crowded at weekends and during the summer. This should not discourage the more curious people, since the place is very well-exposed and protected from cold northern winds and it allows you to spend hours in the sun also in winter time. It is not accessible by private vehicles. In the summer there is a shuttle service available. Vetulonia is an ancient Etruscan town that gave Rome its symbols of bunch and axe. Vetulonia reached its highest moment of splendour between the 7th and 6th century B.C. and it still keeps the memory of its ancient power. After the splendour of the Etruscan period, Vetulonia underwent a period of decadence, and in 1181 the Castle of Colonna was built, as a fortification to defend its people. Only some parts of the huge Etruscan walls have remained, and near the present day village there is the Etruscan necropolis. Among the tombs that you can visit, two are really remarkable: the TOMBA DEL DIAVOLINO and the TOMBA DELLA PETRERA, that you meet taking the road to Buriano. In the village there is a recently opened archaeological museum , with very interesting finds. From the hills you can admire a wonderful landscape. 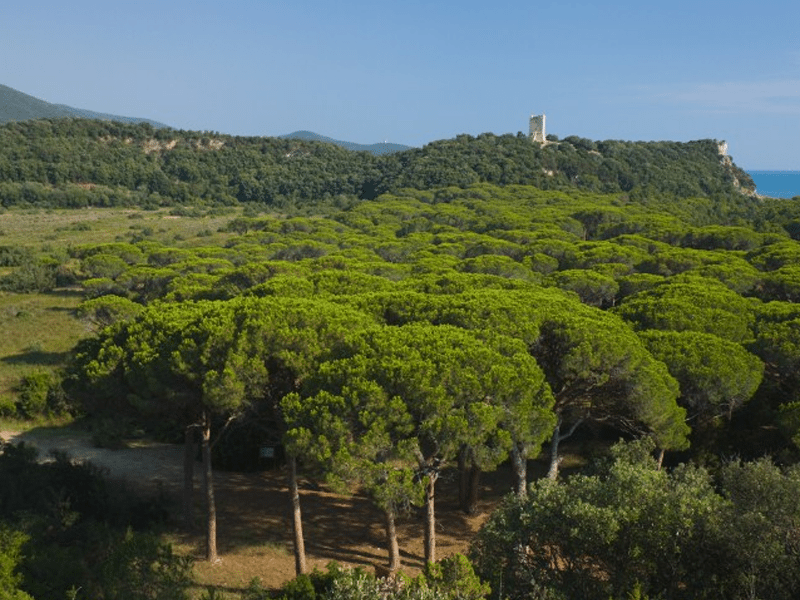 The Maremma or Uccellina Natural Regional Park was created in 1975 but, notwithstanding its dimensions (about 10,000 hectares) and the few years since its creation, it has become a more and more popular destination. 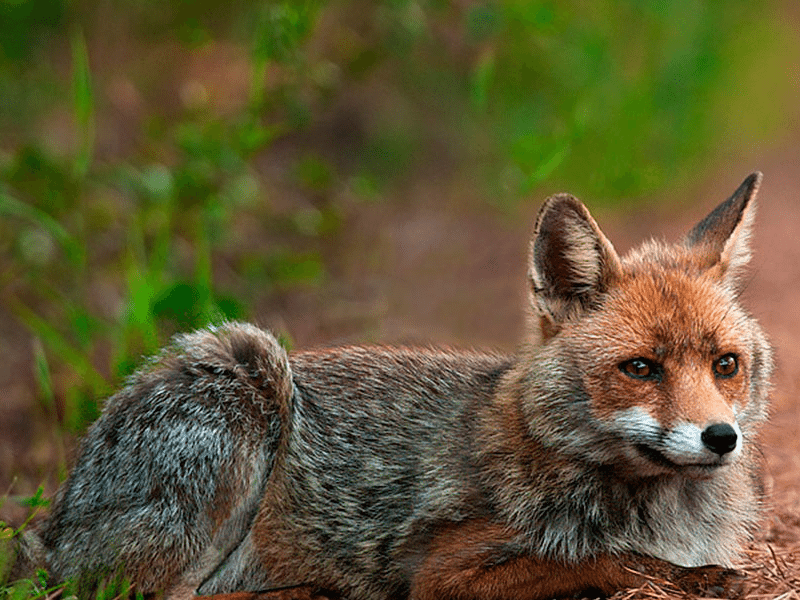 In 1993 it was awarded the Diploma of European Park by the Council of Europe. The visit to the Park will surely be a pleasant and formative experience, but it should be considered that just one visit could, in some cases, disappoint you, since a brief visit does not satisfy all expectations and does not pay justice to the real possibilities offered by a longer visit; you must remember that it is not a zoo and the animals are free and not at our disposal. You can visit the Park only on foot; the two access ways to the paths are: Alberese and Talamone. For paths starting from Alberese, access is normally possible daily. For all information about times and modality of visits, please contact the Information Centre. 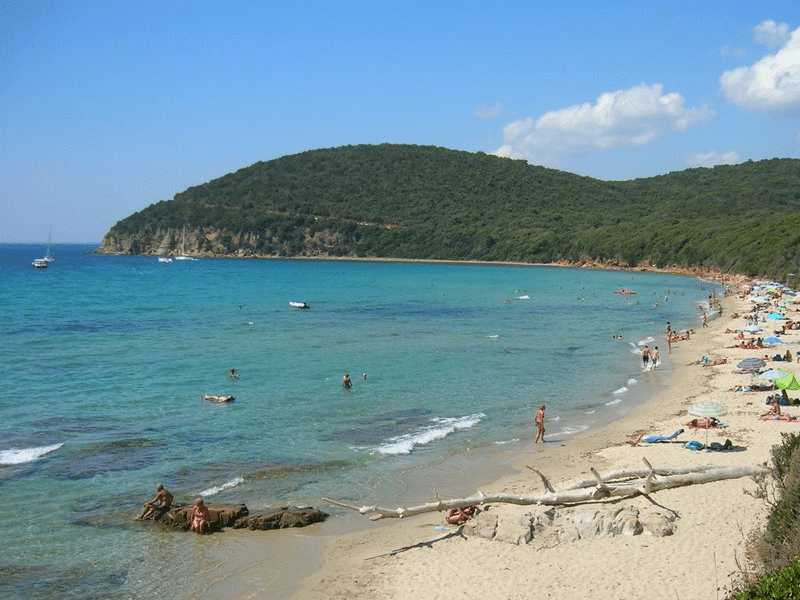 The park is only a few km away from the most beautiful beaches along the Maremma coast and only 2.5 km from Alberese where you can find all kinds of services; moreover, in the local restaurants and food and wine festivals you can taste the traditional dishes of Maremma cuisine. From our farm holidays resort it is possible to reach easily the most beautiful areas of the Maremma coastline, like Talamone, Castiglione della Pescaia or Punta Ala, the pristine beach of Cala Violina, or it is possible to get to Argentario, crossing the characteristic lagoon that surrounds the village of Orbetello. Not far there is Saturnia spa with its lovely natural falls and relaxing equipped swimming pools. 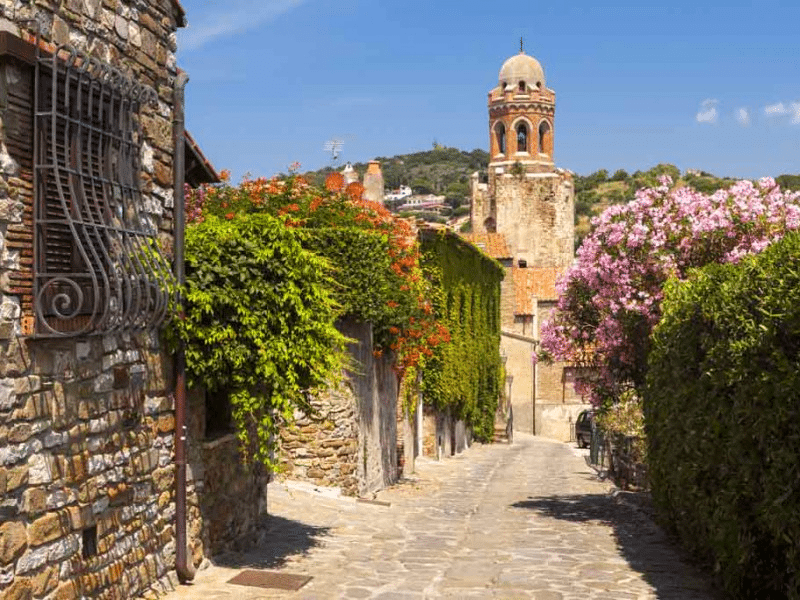 Monte Argentario is a promontory that stretches out into the Tyrrhenian Sea towards the two most southern islands of the Tuscan Archipelago: the island of Giglio and the island of Giannutri. 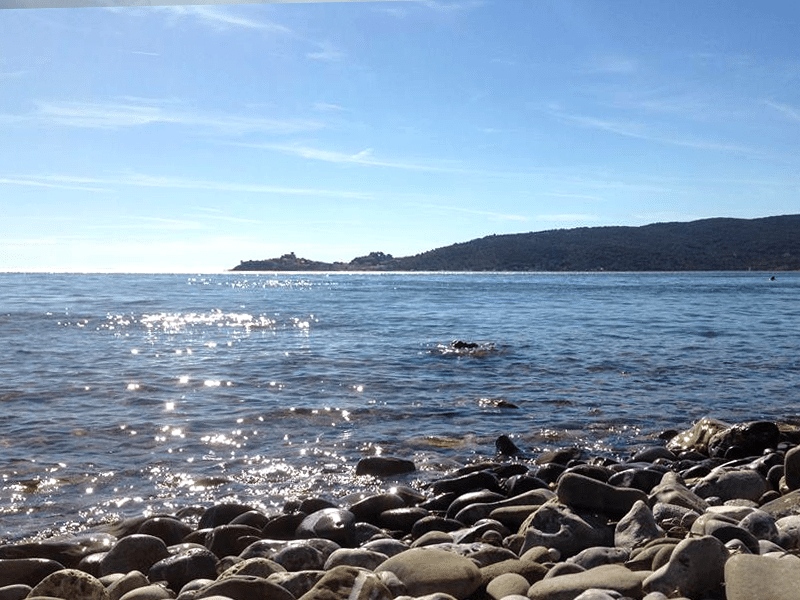 Originally Argentario was also an island but in the course of the centuries the action of sea stream and Albegna river created two tombolos, the Giannella Tombolo and the Feniglia Tombolo, which connected the island to the mainland creating at the same time the Orbetello Lagoon. Monte Argentario reaches its highest point at Punta Telegrafo (635 m) and it is characterized by a mountainous territory only sweetened by terraces created by man where vineyards grow. 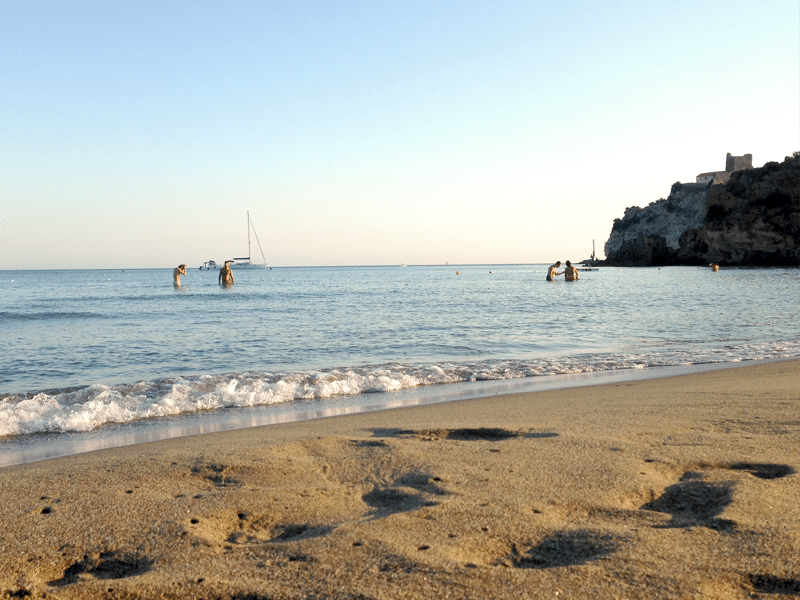 The coastline is extremely irregular and it offers beautiful rocky bays and coves. 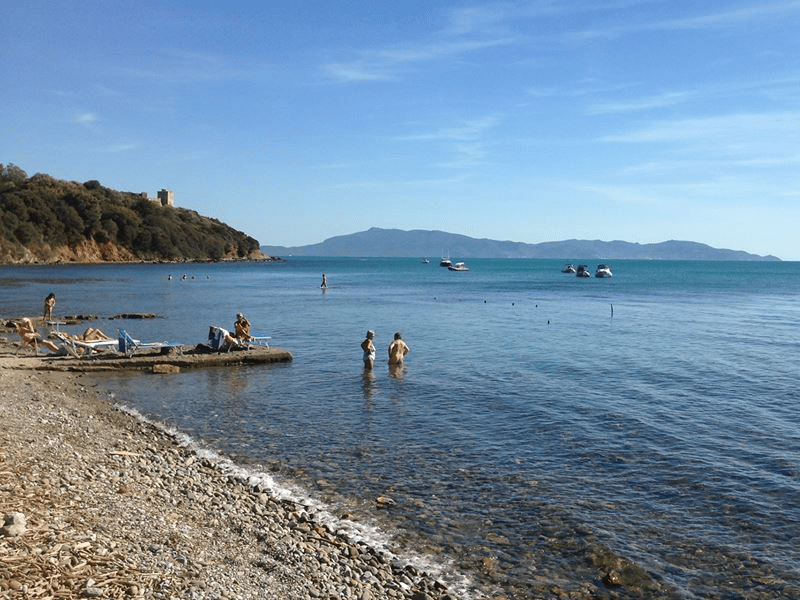 The district of Monte Argentario is formed by two fishing villages: Porto Santo Stefano, where the town hall is, lies on the north side , while Porto Ercole, the smaller village, lies on the south side. 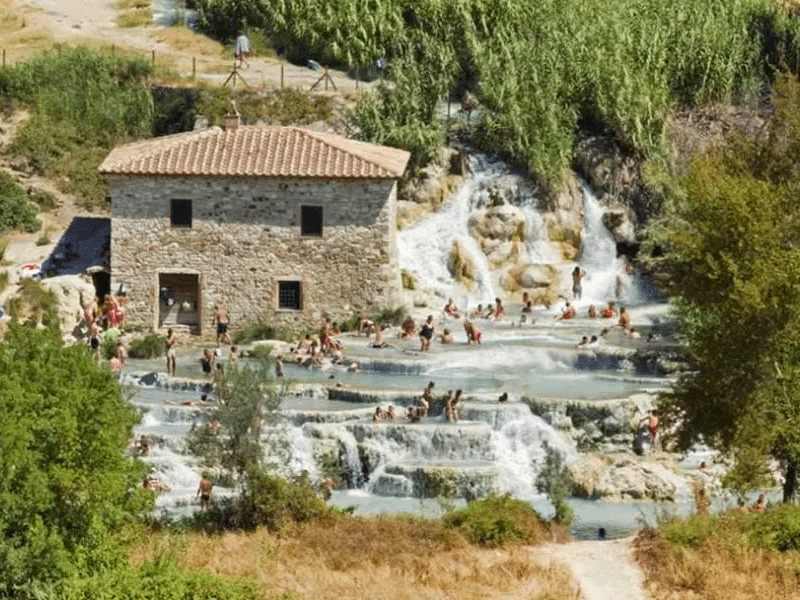 Saturnia Spa is world-famous for its prodigious thermal spring: sulphurous and carbonic water – sulphate –bicarbonate – alkaline – earthy – that springs from the subsoil at 800 litres/s at a constant temperature of 37°C. Thanks to its particular composition and its natural temperature, Saturnia water has healthy and stimulating properties, whose effect can be felt on the skin, breathing and skeletal-muscle apparatus. 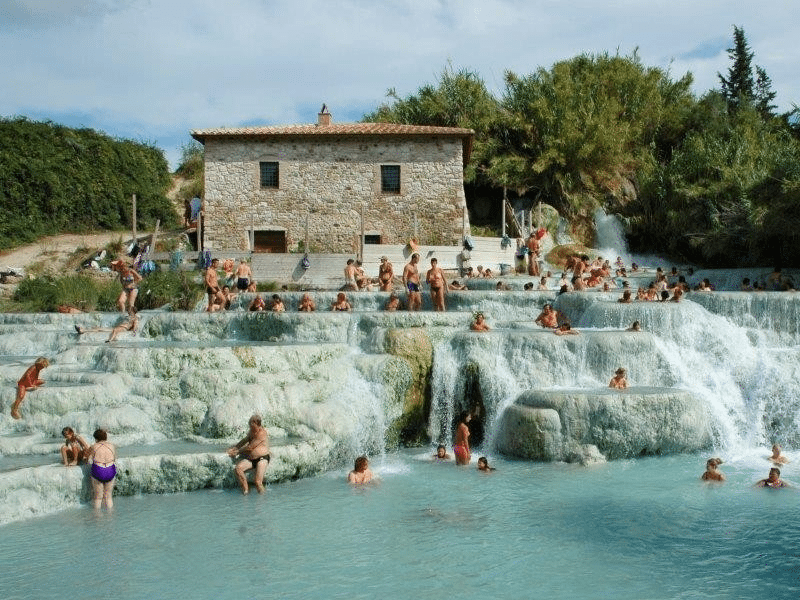 You can bathe in the famous Molino Falls, calcareous falls created by the natural spring in the heart of the Maremma countryside, just a few km away from Saturnia. You can bathe for free and in the winter, that hot shiver is a healthy transgression. 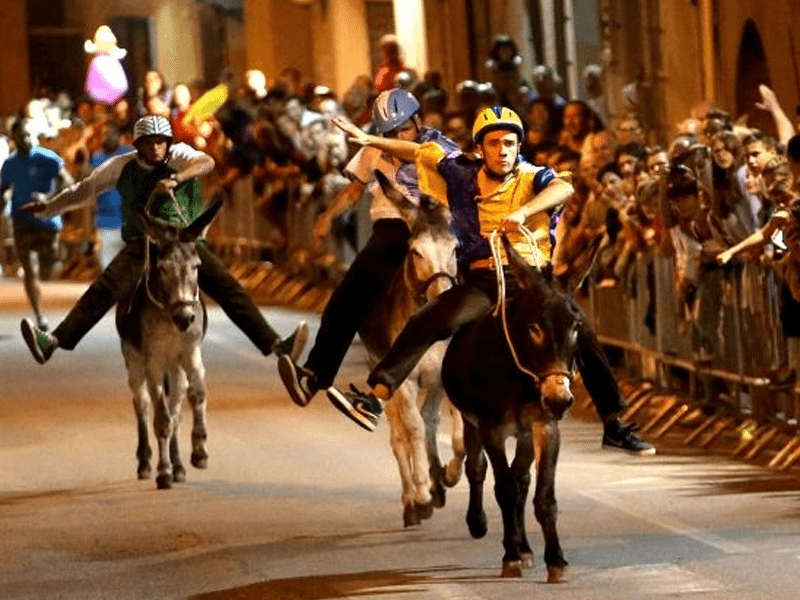 Young people love it but it should be tried at every age: it’s a unique experience. Try it at night: dark falls lightened by the moon, full of laughter and encounters. The sulphurous spring’s thermal water springs inside the spa, where you can bathe in natural pools or let yourself caress by hydro massage. Facilities at Saturnia Spa offer several services: hydro therapy, traditional spa treatments (mud baths, aerosol therapy, inhalation etc) and holistic beauty treatments.